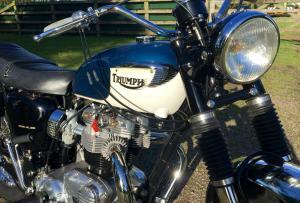 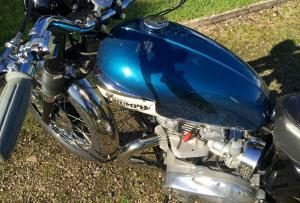 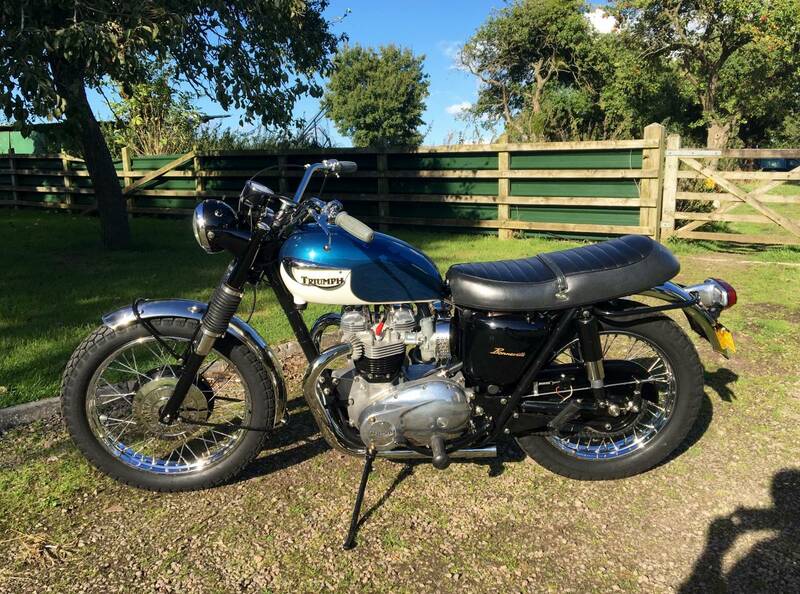 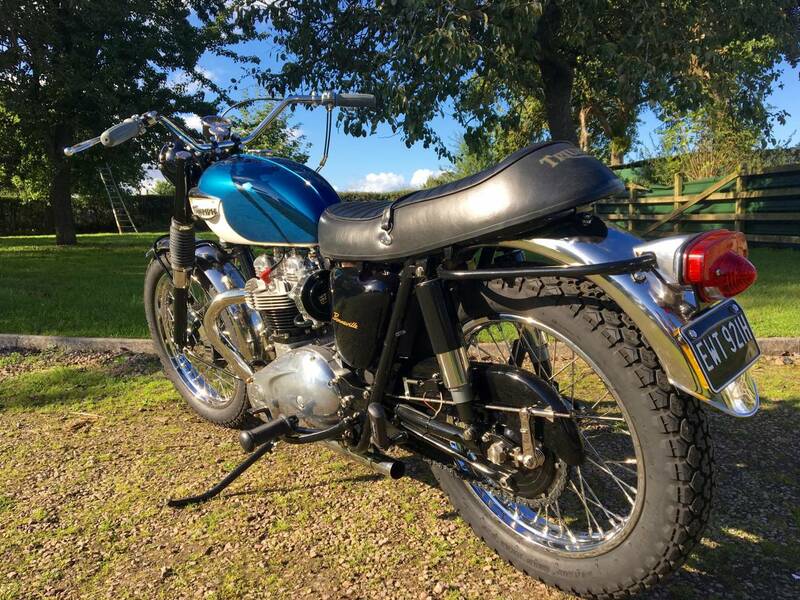 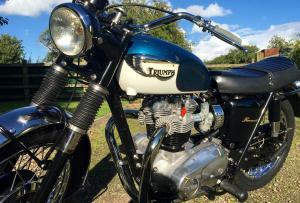 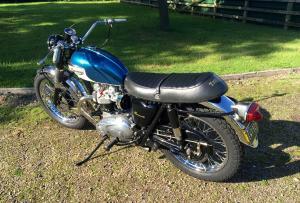 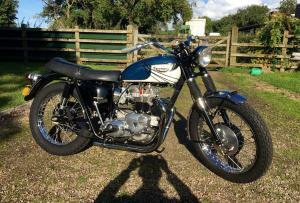 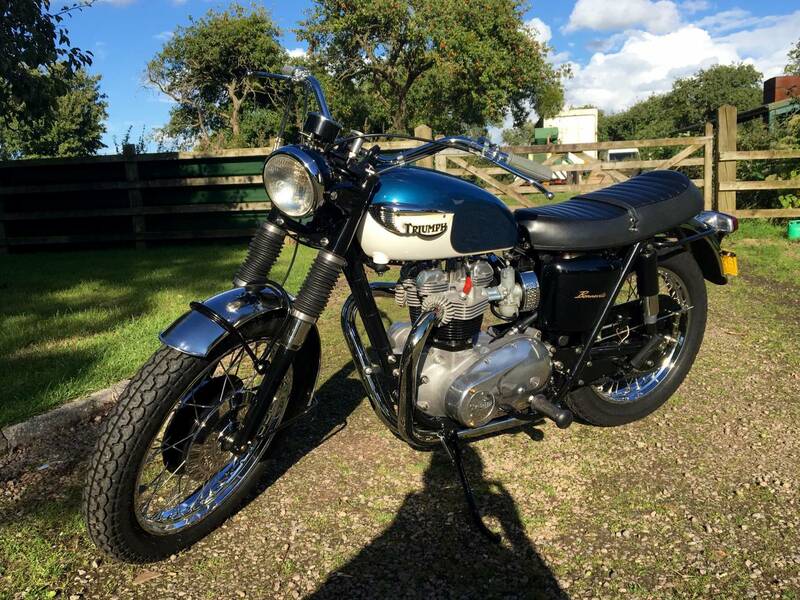 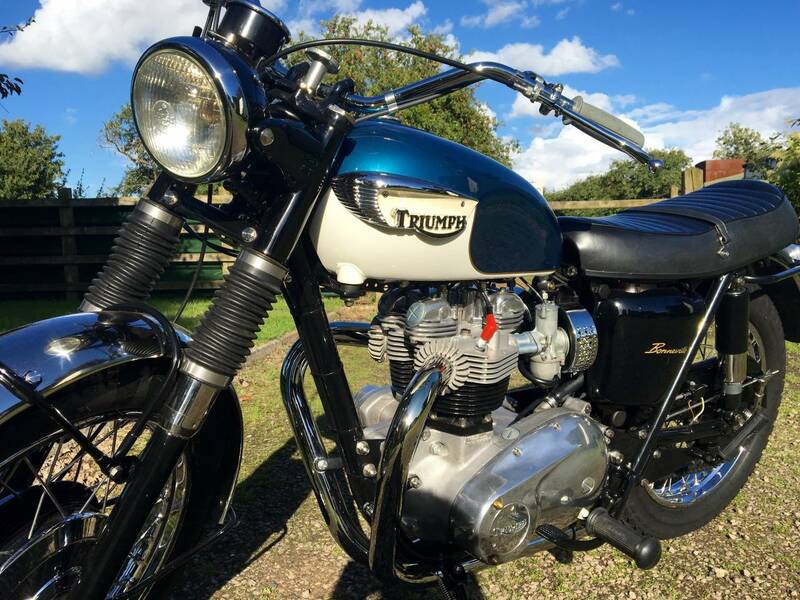 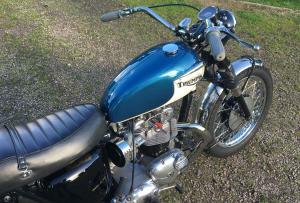 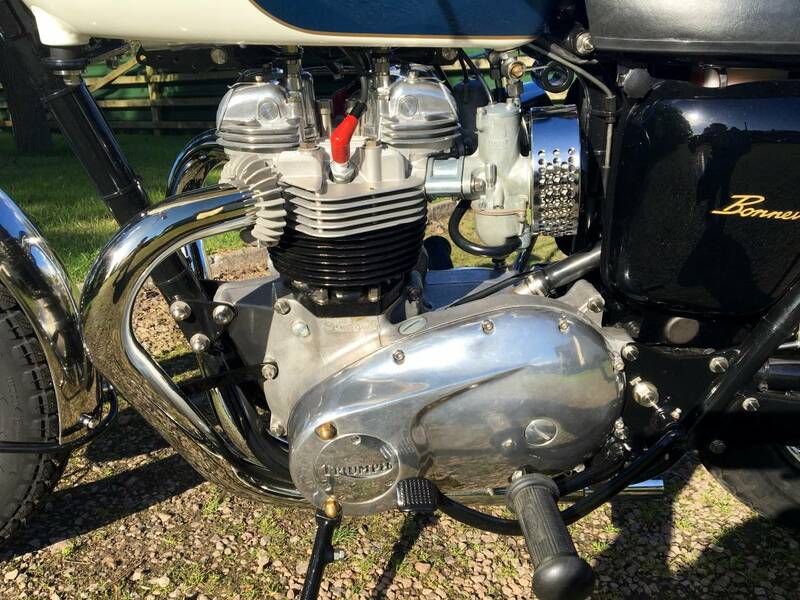 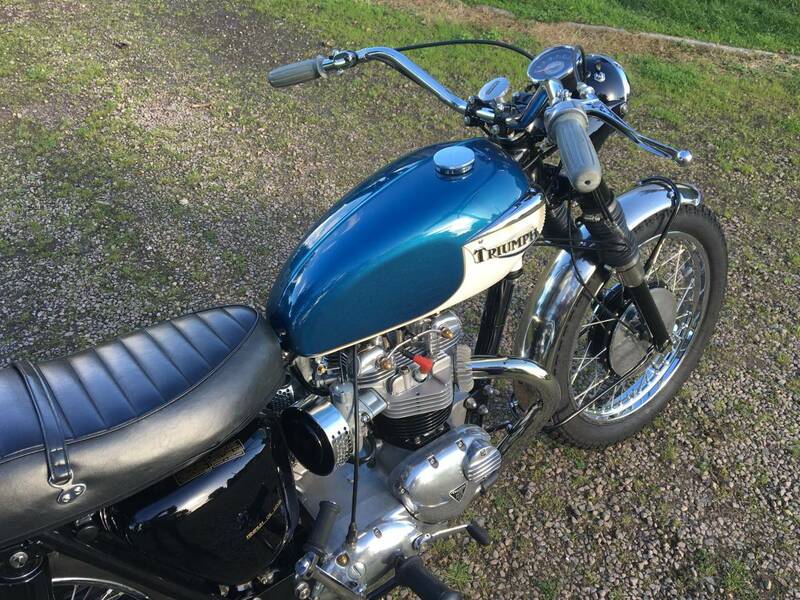 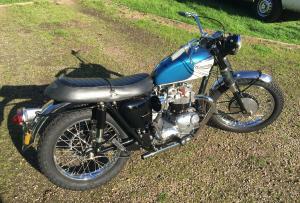 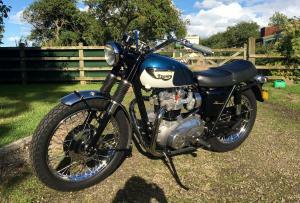 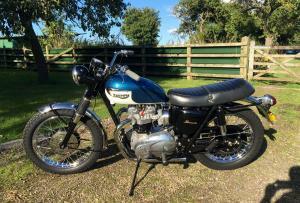 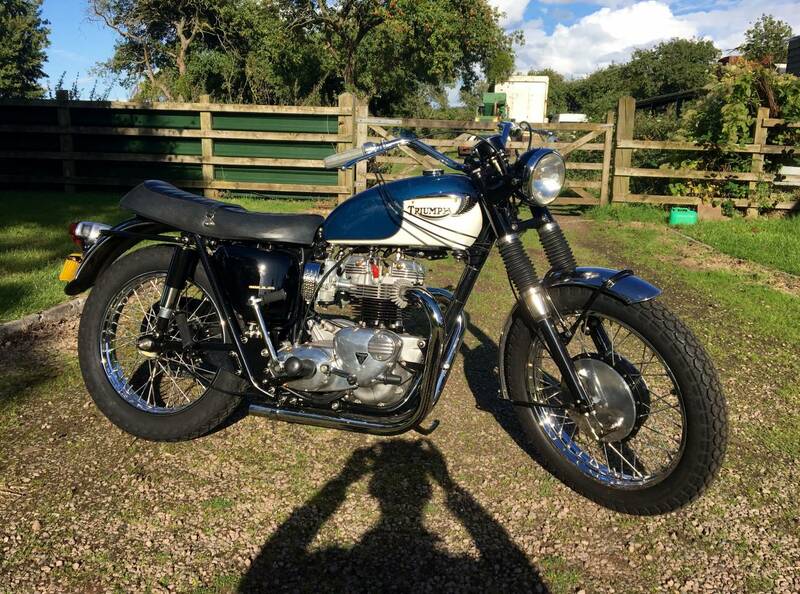 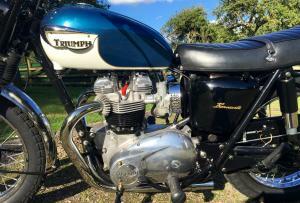 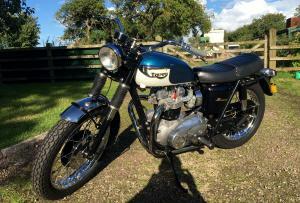 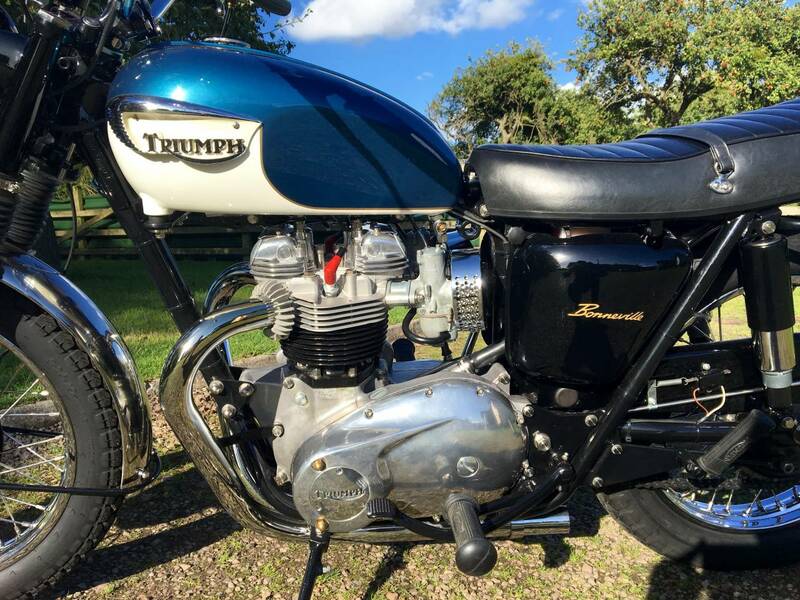 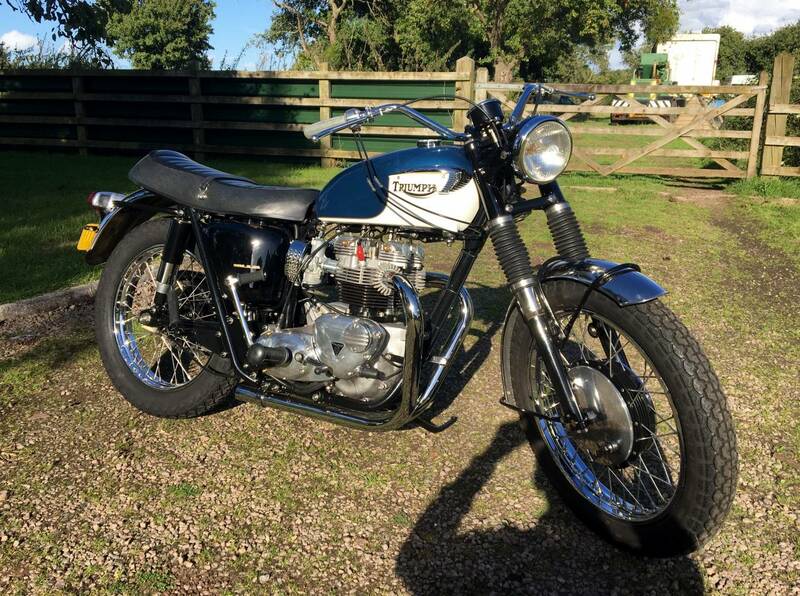 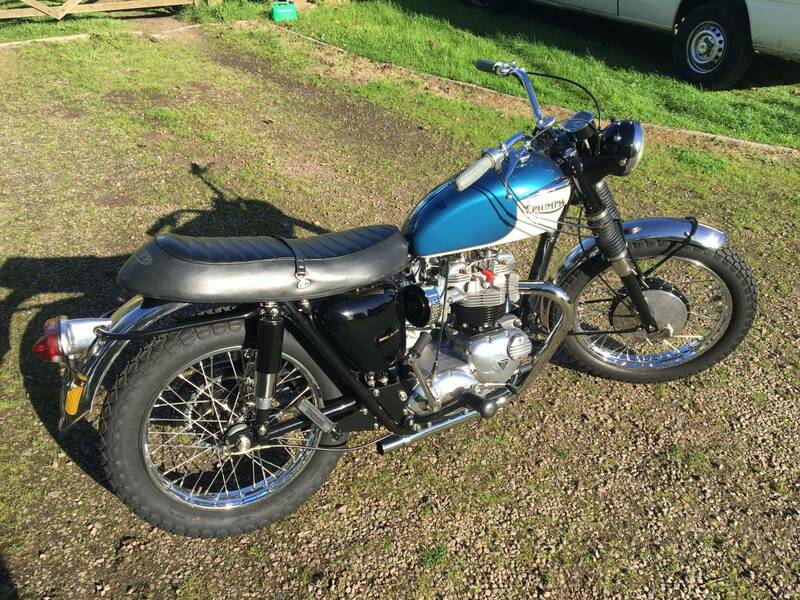 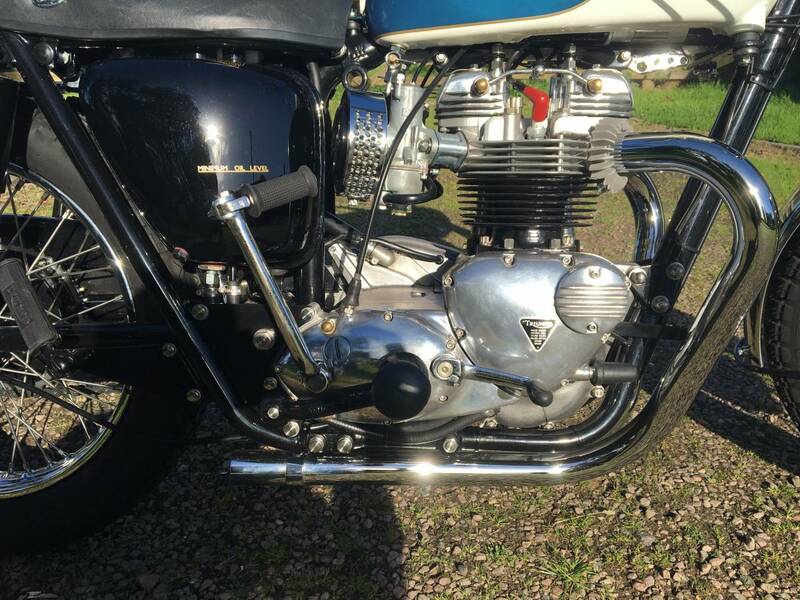 Triumph T120 TT Special 1970 750cc. 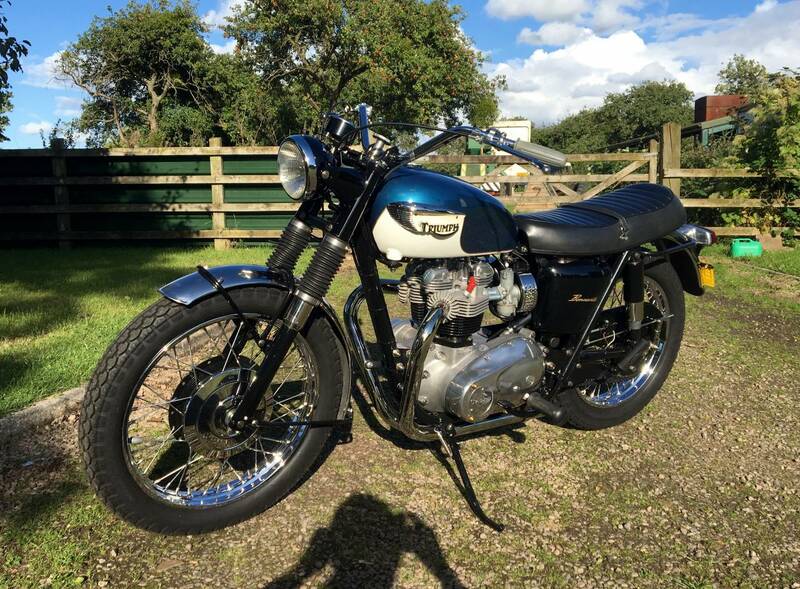 Restored with no expense spared 6 Months ago to Concours condition, Only using original reconditioned parts where possible. 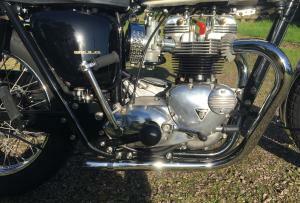 The bike was built by Paul Golledge who was a well known bike builder and very meticulous. 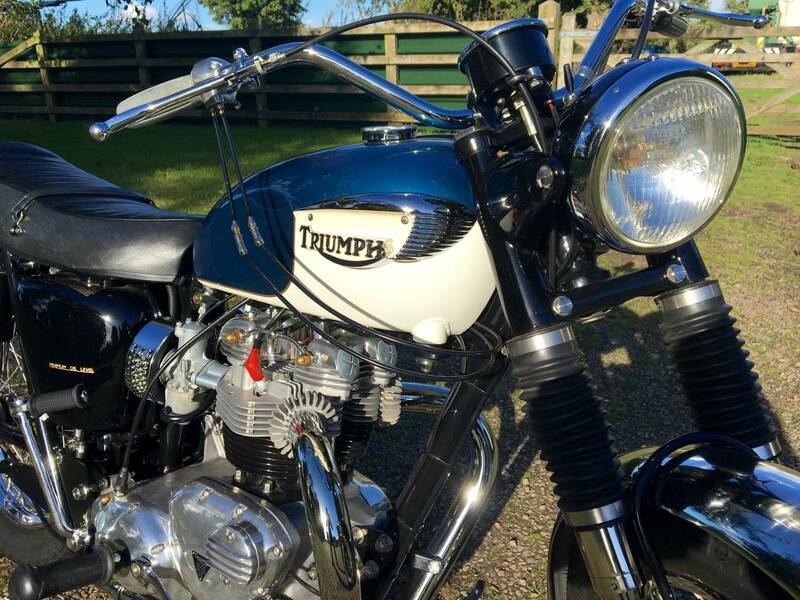 An amazing sounding Triumph with the looks to match! 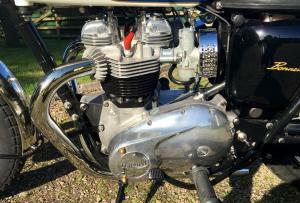 The engine is a 1979 T140 750cc motor that has been fully rebuilt and benefits from a dynamically balanced crank, new con-rods, pistons, barrels bored out to +40, plasma valves, ferrea bronze valve guides, R racing cam followers, seven plate clutch conversion, SRM pressure plate, NOS rocker boxes, billet push rod tubes, TT exhaust pipes and every nut, bolt and washer has been replaced with stainless steel with polished heads where possible. 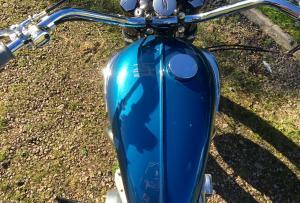 The wheels are Elite Chrome with SS spokes , clad in Dunlop Gold Seal K70 3.25 front and 4.00 rear. 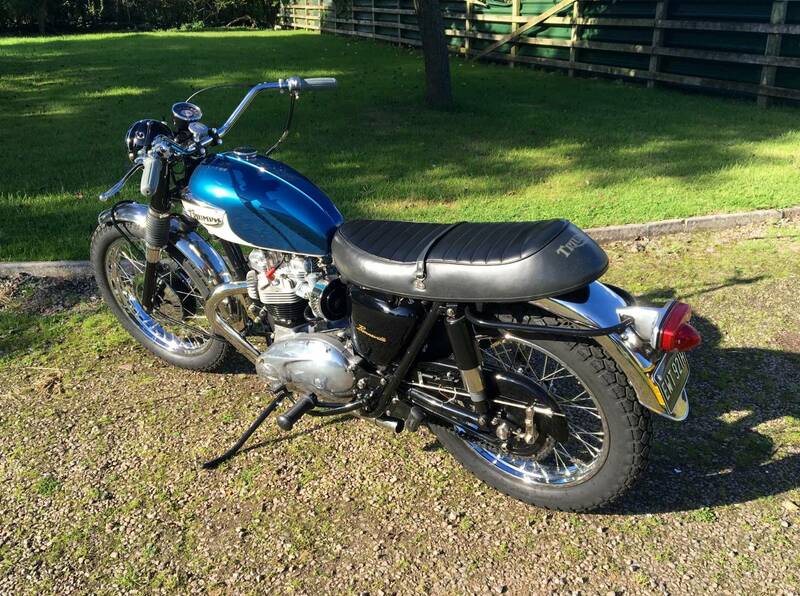 The brakes are amazing and the bikes stops on the spot. 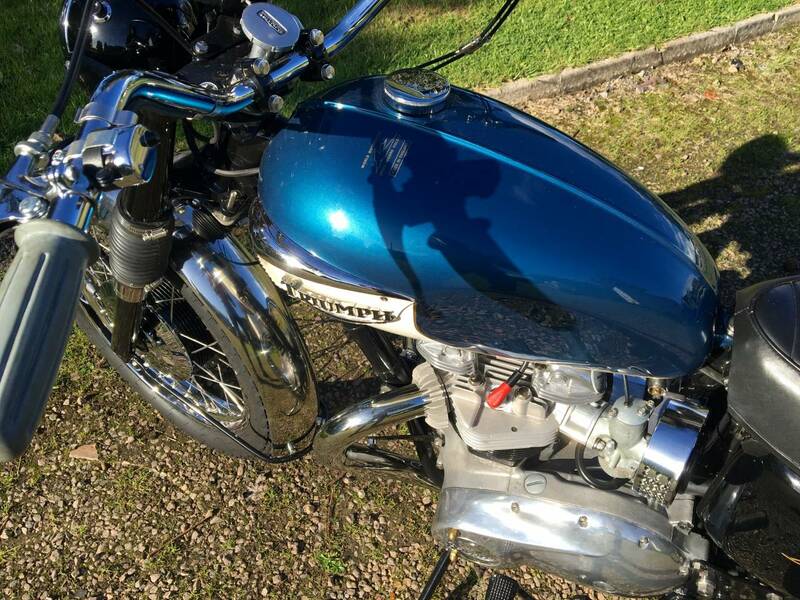 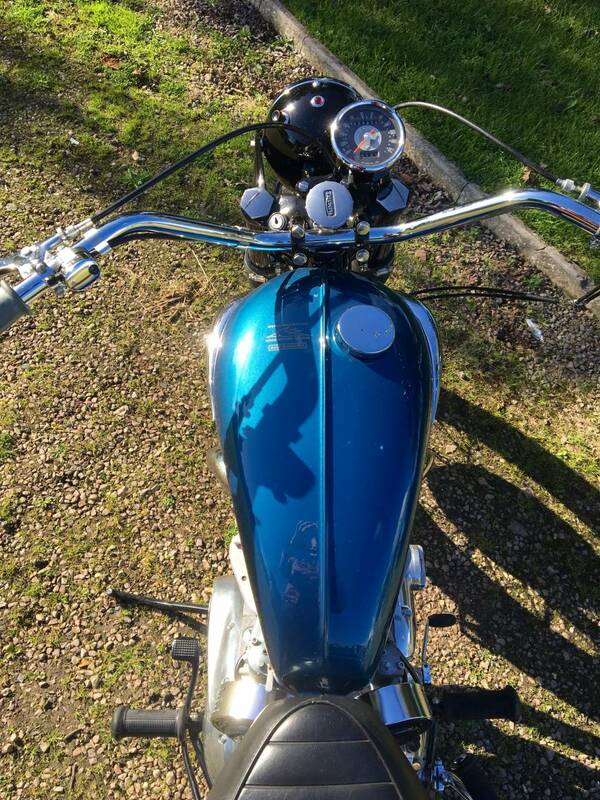 The rest of the bike benefits from a complete repaint by Altamura in Camberley, fully rebuilt forks with shutter valve conversion, re-bushed and reamed swingarm, Hagon rear shocks, folding footrests, New 930 series carbs with 3.0 cut out floats.